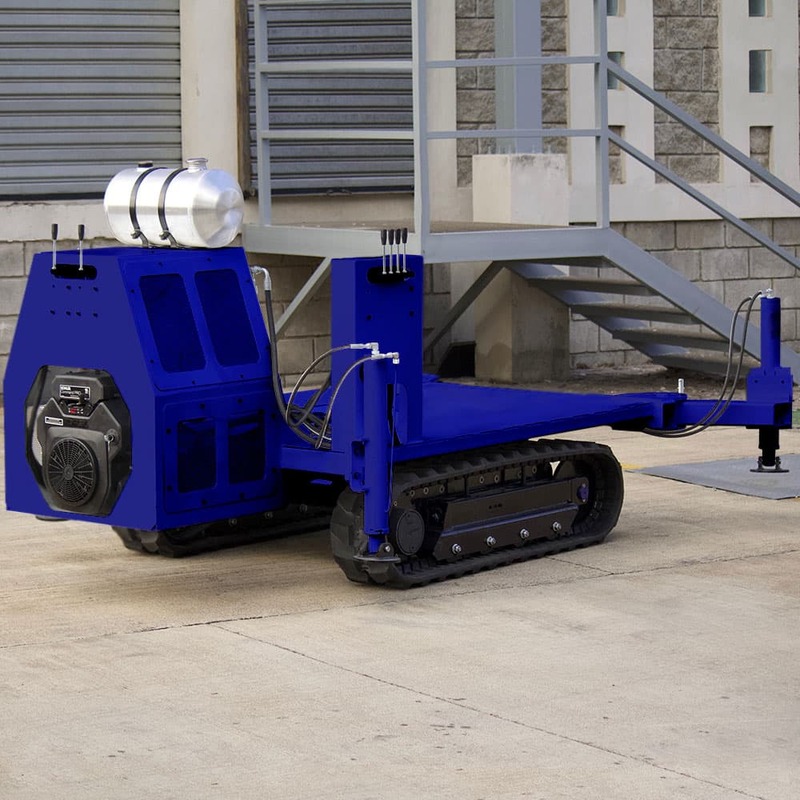 The TP-19 and TP-37 rubber track carrier platforms can be used for several purposes, including drill rig conversions, and pipe, water tank and drilling tooling transport. 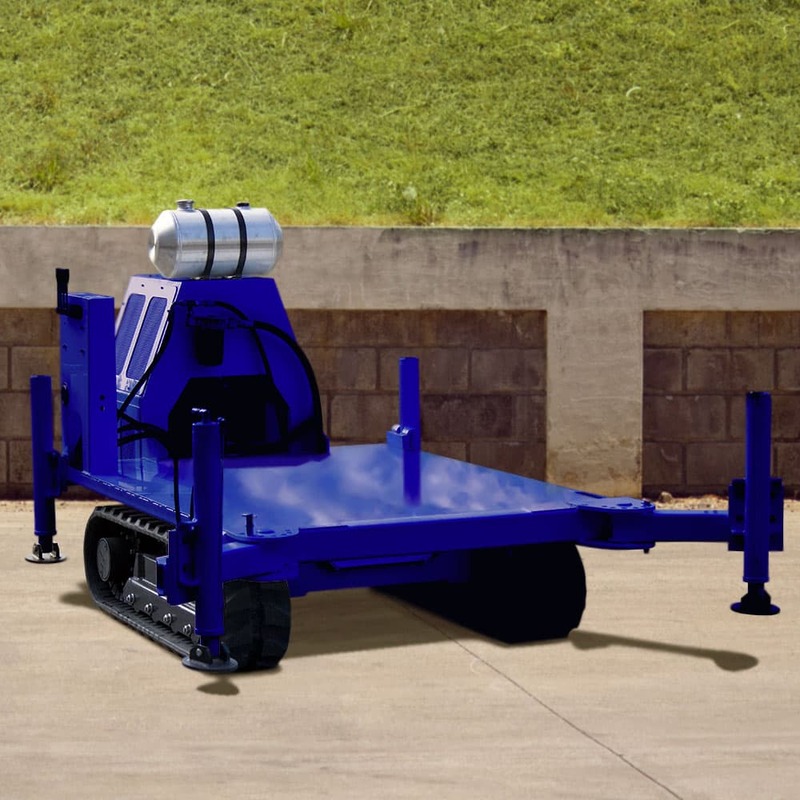 This rubber track carriage is the platform of choice for compaction grouting and foundation repair contractors, drilling and general contractors, landscape designers and farmers. 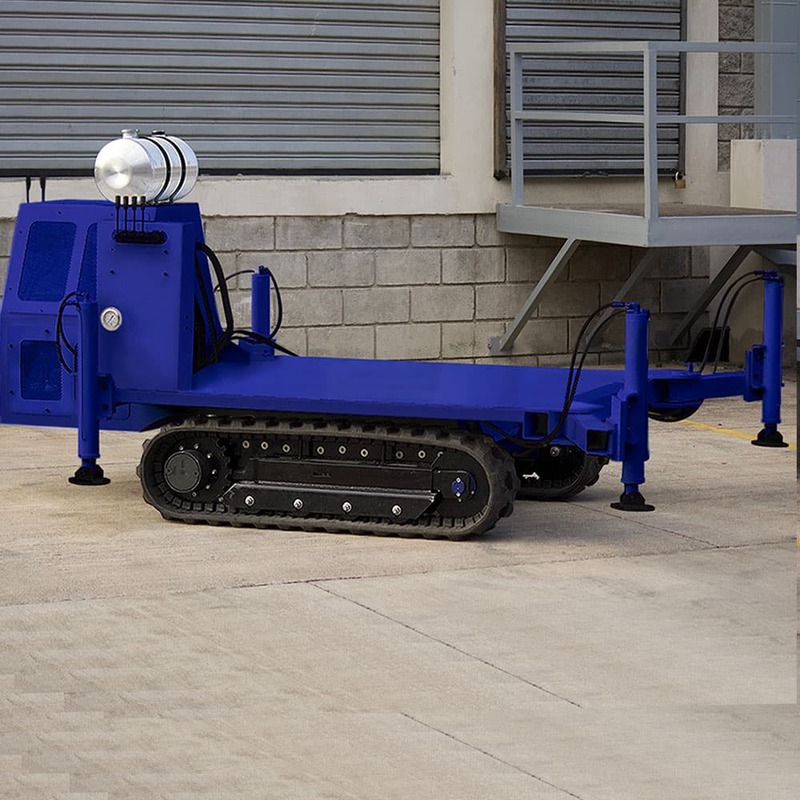 The TP-19 and TP-37 carriers are mounted on durable rubber tracks with auto-brake, and can be ordered with an optional remote control drive, four leveling outriggers and an auxiliary power connection to run your hydraulic tooling.